53 Smoke Detectors Installed! Great Job Everyone! The American Red Cross, in partnership with the Wappingers Falls Fire Dept., the United Village Committee of Wappingers Falls and I conducted Home Fire Safety Checks and installed 53 smoke detectors. There is a lot to learn when it comes to fire safety. Thank you ALL for your hard work and commitment! 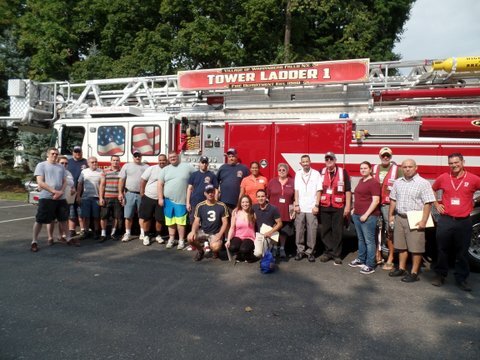 Posted in Community Charity, Events, Local Happenings and tagged American Red Cross, Dutchess County Legislator District 14, Fire Safety, Francena Amparo, Garner Fire Engine Co, Legislator Amparo, Legislator District 14, Legislator Francena Amparo, Mayor Matt Alexander, Wappingers Falls on September 2, 2015 by Dutchess County Legislator Francena Amparo.